Why is it the best Commuter in Melbourne/Sydney? Here at Lekker Bikes, we take pride in all of our products. 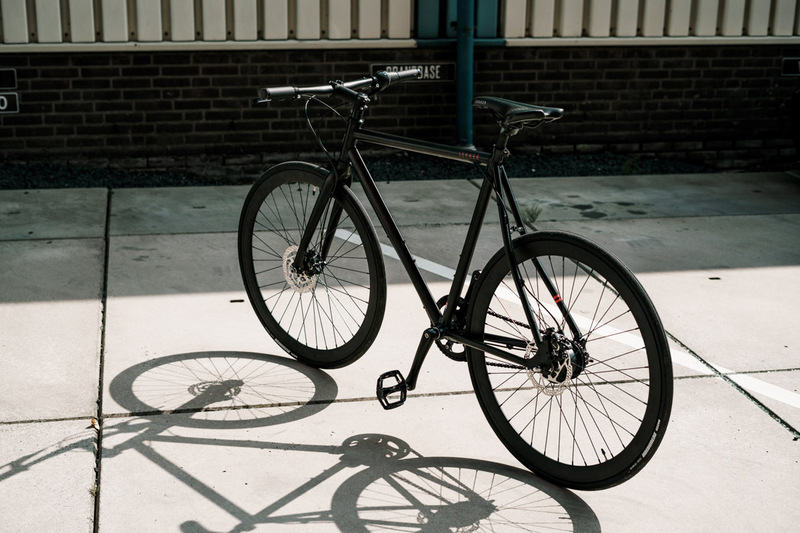 However, there’s one in particular that we feel stands out from the crowd – Our Commuter Series bikes. Not only do these have the Lekker premium build quality, but they also pack a few outstanding features that set them apart from competitors. With a minimalistic design, a fresh new look, new belt-drive technology, ‘ThickSlick’ wheels, and a lightweight frame, the Lekker Commuter Bike is truly ready for wherever you choose to take it. We’ll be delving into these features below to give you an in-depth look at the Amsterdam NuVinci series, in particular our limited edition ‘Alpine White’ model, and why we do truly think that it’s the best Commuter Bike in Melbourne and Sydney. Keeping with the unmistakable Lekker style, we’ve decided to go a step further and have designed an urban commuter bike for serious daily commuting. At Lekker we believe you deserve a bike that is easy to operate, utilises proven technology and offers an eye-catching minimalist design. Our Amsterdam Elite Series is the flagship model of Lekker Bikes – a subtle execution of bold cycling concepts. The Lekker Amsterdam Elite, is now available for a limited time in our brand new ‘Alpine White’ colourway. With just 18 models all exclusive to Australia, there hasn’t been a better time to come and check out our limited edition run. This new colourway gives our Amsterdam Elite a real chance to shine, and presents it with a bold new look that enables it to really stand out from the crowd. Our Lekker Commuter Bikes utilise the latest belt-drive technology, in replacement of the classic bike chain system. Developed by Gates Corporation out of Denver, Colorado, they’ve been developing belt-drive technology for a wide range of industries since 1911. The belts are composed of a weather resistant polyurethane exterior and feature nine strong and stretch free carbon fiber tensile cords with a polymer body. This ensures maximum reliability through being a far more durable system than the classic chain system – offering low noise, and zero maintenance. Having been operating over the past 35 years, ‘WTB’ have been producing a range of premium components used for trail riding, transportation, recreation as well as elite racing. From saddles, to grips, to apparel, they understand the demands of riders today regardless of the discipline. Their ThickSlick tyre, has been designed to be able to withstand the roughest of urban conditions. They’re able to provide optimal traction on rough streets whilst their rubber casing protects the tyre from damage from glass, pins, staples and other foreign objects. With twice the rubber too, they give you a smoother ride, enabling natural absorption. Lekker’s Commuter Bikes are all built with a 100% aluminium frame and fork. This ensures they’re durable, resistant to rust, stable as well as low in weight. They’re therefore suitable for a range of riders, whether you’re sprinting on the last few hundred metres of a road race, or pacing your way around the outer city trails of Melbourne or Sydney – they’re an ideal option. Aluminium being roughly three times lighter than steel, this is also a very big factor in ease of transportation, particularly regarding longer rides. With all of the above features packed into our Amsterdam Elite NuVinci Series, we at Lekker believe that we have something truly special to offer. A bike that doesn’t only look sleek and stands out from the crowd, but that also has the functionality and technology to match. If you’re after a new ride to take you around town, or even out of town with style and with ease, don’t look past Lekker Bikes. Alternatively if you’re only after a few new components for your existing ride, we also do have a range of accessories from bike lights, to locks, to helmets. We invite you to visit either of our brand stores in Melbourne and Sydney, to come and experience the refreshing world of Lekker Bikes, and of course, to book a free test ride whilst you’re there. Commuting to Work in Melbourne? Check out your City’s Bike Maps.